In Telangana, our vision is to be a leader in emerging technologies and to translate that vision into a reality we have taken up several initiatives in the State. The government has created a vertical for emerging technologies and the objective is two-fold, one is to develop the ecosystem required for the industry and the other is to make the government departments leverage or adopt emerging technologies. 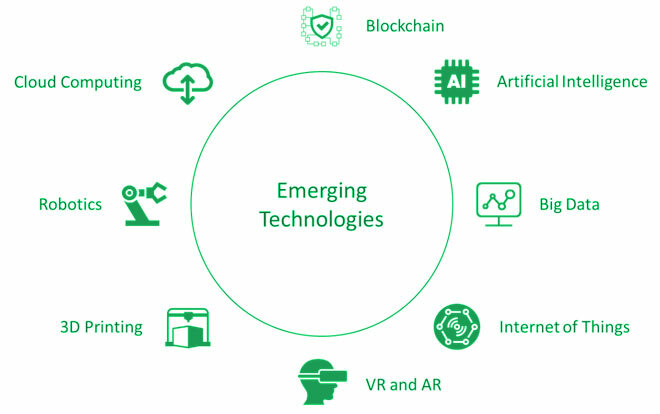 We have identified 8 key emerging technologies such as Blockchain, AI, IoT, Cloud, 3D Printing, VR/AR, Robotics and Big Data that could impact the government and the businesses. Blockchain District – Government of Telangana entered in to a MoU with IIIT Hyd, Tech Mahindra and CDAC to work together on protocol development, incubation, acceleration, skill development and in identifying various use cases, build Proof-Of-Concepts in few Govt. departments and other related programs to achieve the vision of making Hyderabad a blockchain hub. Partnership with NITI Aayog: Telangana is the first State to sign Statement of Intent with NITI Aayog to work together in frontier technologies. Focussed on building Centre of Excellences (CoEs): The CoEs provide a platform for various stakeholders including industry, government, academia, user enterprises, and innovators to collaborate and co-create solutions and products in the respective areas. Artificial Intelligence & Data Sciences – In collaboration with NASSCOM, this CoE aims at creating collective capacity and capability in Data Science and Artificial Intelligence in Telangana and help bring innovators, large enterprises, user enterprises, academia, and Government on a single platform. Setting up a research park in the domain of Artificial Intelligence and Manufacturing in collaboration with IIT Kharagpur. As part of which, a CoE and Advanced Manufacturing Innovation Center will be set up. Dharani – Realizing that the use of blockchain for land records would bring revolutionary changes through inbuilt transparency, traceability, and efficiency in the system, we set out to streamline the system and implementing DHARANI an integrated land record management system to develop a modern, comprehensive, transparent and near real-time land records (in the lines of Core Banking solution) in the state with the help of innovative technological solutions such as Blockchain. DHARANI shall act as a ‘single source of truth’ which will lead us to an era of conclusive titling, which by the way shall be a first for the nation as revenue records are meant to be presumptive in India. The project is under implementation. StreeNidhi – This is a work-in-progress (WIP) project in microfinance to build credit history and to give a credit rating to the Self-Help Groups (SHGs) members, who are poor women, which would incentivize good financial behaviour and also help the women to get other financial services. Natural Language Processing Project: Working with NITI Aayog to develop tools for developers to develop solution and products in vernacular languages.